What if you were the go-to real estate or mortgage professional for a group of important people in your community, and you could provide them with benefits far beyond anyone else in your market? Roughly 14% of your community members are heroes. Every year, on average, 14% of those heroes will move and need someone like you to assist. They are loyal to those who are loyal toward them. Our heroes serve humbly and loyally. Now it's our turn to serve them. Our affiliate real estate agents and loan officers work together to provide Hero Rewards® savings to firefighters, EMS, law enforcement, military (active, reserves and veterans), healthcare professionals and teachers. Register today and schedule a call with our account team. They will explain the program in detail and answer your questions so you may determine whether this is a good fit for your business. Become part of a niche national network that allows you to focus on a core customer segment and differentiate from competitors in your community. You will receive tools such as an assigned promotional area, customizable landing page and URL, national advertising support and a library of marketing materials and templates so you can begin fostering hero relationships in your community. You will be taken through our onboarding, training, and your 30-Day Fast Start Plan, be given access to ongoing Hero Outreach local marketing strategy sessions, and learn how to leverage the resources and marketing materials available. This is where the rubber really meets the road! Use the resources available and build relations with local hero organizations. Become known as the hero specialist in your community who gives back. Coordinate and collaborate with neighboring affiliates, align on joint local efforts and leverage our national network. You provide extraordinary service and Hero Rewards savings for every hero transaction. Hero Rewards savings is our way to say thank you to our nation’s heroes. 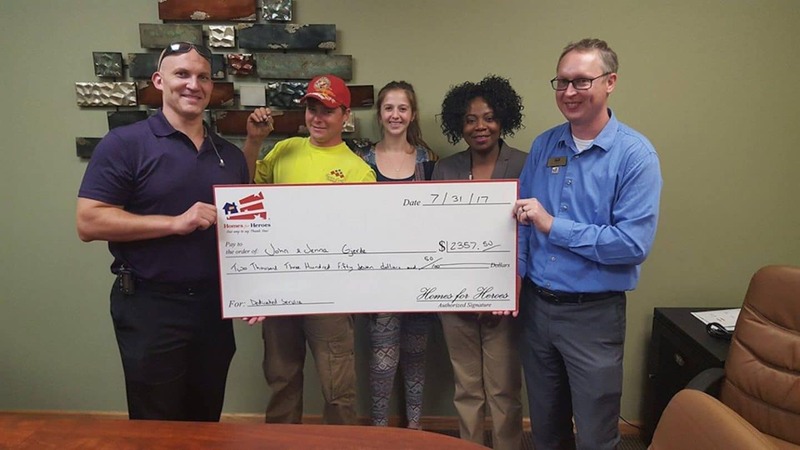 Also, each month Homes for Heroes donates a portion of its earnings to the Homes for Heroes Foundation to assist heroes in need of housing or emergency financial assistance. As an affiliate, you may nominate a local charity to receive a hero grant and help more heroes. By committing to these heroes, getting involved, participating in their local activities and events, and giving back, you will successfully grow your business and positively impact the lives of an important group of people in your community. "I’m gonna say 9 out of every 10 of my clients are served through Homes for Heroes. We all know that a lot of this business is now done on the internet, and clients can go and find a lot of the information themselves. So without a niche, and without being an expert in your field, you will get left behind." "By all means Homes for Heroes is the quintessential cornerstone of my business. There’s no better experience or feeling when I get to go to the closing table and show the hero how much they saved. It’s such a rewarding experience to be able to help people and still be able to accommodate a business. Everybody wins in this situation." "I had a potential client ask me about a VA loan and that led me to tell them about what I do with Homes for Heroes. They said, “We just found our realtor.” Had I not been part of the program, I honestly do not think they would have gone with me. They ended up being my first hero closing!" "Most of the traditional sales training in the real estate industry is focused on selling. It’s part of who we are. It’s how we put food on the table. HOWEVER, to be successful with Homes for Heroes it needs to be all about serving. Serving your local heroes. Sales become the result of serving." "I’m a loan originator, but really I’m your local Homes for Heroes lender, that’s what I do for a living. I can’t imagine being a loan originator and not having Homes for Heroes as a part of my business." "I use Homes for Heroes as a platform to talk with more people. I in turn close lots of heroes! It's a great program if you use it right. As with anything in real estate, you gotta put in the work. And the best part is, I get to thank a lot of heroes along the way!" We are looking for those who are committed to providing heroes with extraordinary service and extraordinary savings. We seek to connect heroes to select real estate agents and loan officers who excel at making our heroes’ home buying, selling and refinancing process an easy, enjoyable one. If you desire to support your local heroes and have a positive impact in your community, then we would be honored to speak with you. If you're a Title Company, Home Inspector, Insurance Agent or another local business interested in becoming a Homes for Heroes affiliate partner please CLICK HERE for more information.